Saab Magalona and Jim Bacarro keep the memory of their baby girl alive with new single, "Luna." 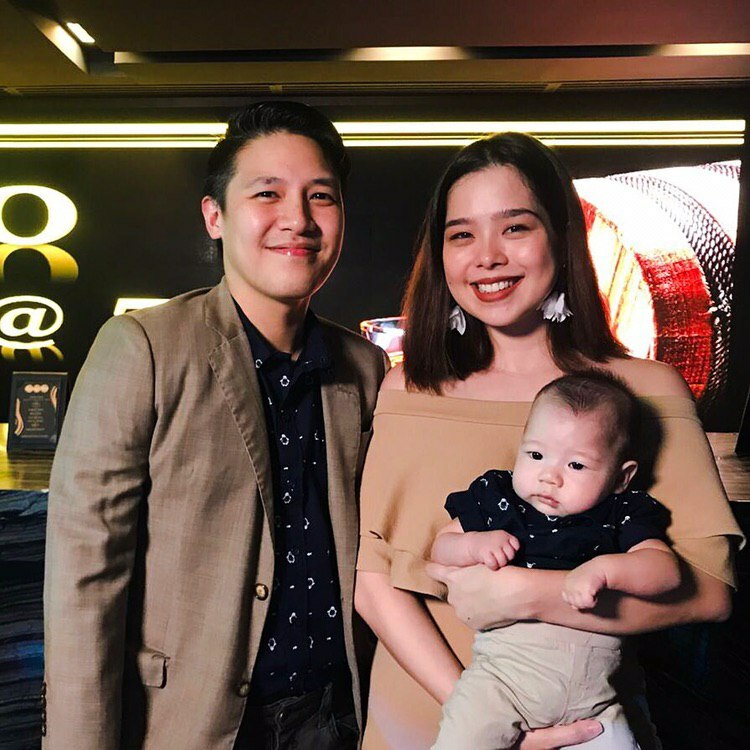 On February 8th, singer Saab Magalona and her husband, lead guitarist of the band "Cheats," Jim Bacarro, released a new song in memory of their baby girl, Luna Isabel, who died during childbirth in March last year due to unforeseen pregnancy complications. Saab released a teaser a few days prior on her Instagram account, where she revealed, "Jim and I wrote parts of this song about 6 years ago. We never could finish it. It was after our baby girl’s passing that we learned it was meant for her." On the day the four-minute track was finally released, Jim shared some of the struggles he and Saab encountered while recording. This past year, our friendship was put to the test. We tried so hard to be strong for one another. Sometimes to a fault where we wouldn't share our pain to spare the other from feeling hurt again. Then one day, Saab asked me if I wanted to sit down and write our song for Luna. At one go, we wrote and recorded it. We couldn't even finish the vocal takes because it was too difficult. But I guess this is part of grieving and trying to move on: learning to entrust your pain to the people who love you. This song is for our baby Luna and for all those who have lost someone dearly. We'll keep believing. The lyric video is on you tube and the track is on Spotify. Thank you to @kylequismundo for mixing and mastering this song for us and @ma_nichaela @jhengmah for the video. Despite the heartbreaking loss, Saab and Jim were still blessed with Pancho, Luna's twin brother. They took him to visit his sister on the twins' birthday. Listen to their beautiful tribute to their baby girl in the lyric video below. What do you think of their track? Tell us your thoughts in the comments section.